The next stop on our tour of mid-game structures involves player interaction. 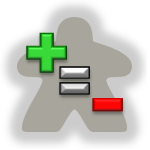 Of course, player interaction is not strictly limited to the middle part of a game–in some games, every single turn involves some measure of interaction with the other players. But we thought our series about the pivot points and decision crossroads was the perfect place to discuss interaction: the outcome of so many games can hinge on whether you choose to attack your opponent or leave him alone, trade or embargo, call or raise, claim the action that’s best for you or impede on what is best for him. In the next two sections, I’ll propose a two-dimensional model of interaction that considers both how interactive a game is and how antagonistic it is. The first axis of interaction describes the degree (or intensity) of the interaction that exists in the game. I’ll discuss this axis as if it encompasses three distinct categories, but like every other topic in game design, it really exists as more of a continuum. This dimension spans from games that have literally no interaction with the other players to games where every action depends on someone else’s and in turn affects someone else’s. And like most continuums in game design, most games fall somewhere in the middle. In games with no interaction, a player can’t affect either the game state or the strategic options/available actions of the other players. Fans of games with extensive player interaction might derisively refer to a game as “multiplayer solitaire” if they perceive it as having too little interaction. But true multiplayer solitaire would literally confine each player to his own corner, doing his thing without paying any attention to what anyone else was doing. It’s difficult to think of real examples of games with no interaction, so I’ll use a few nontraditional or incomplete examples to get the point across. Something close to a true no-interaction game is a crossword competition, a contest of skill with an objective scoring system that you can definitely win or lose, but where your success and strategy have no bearing on what anyone else is doing. Last September, I attended the Boston Festival of Indie Games, a regional gathering of developers of both tabletop games and video games. The highlight of the experience was being able to play games in various stages of development at the Showcase, and one of my favorites was Karmaka from Hemisphere Games. Evidently, the wisdom of the crowd agreed with me, and Karmaka took home the Best Artwork and Best in Show awards in the tabletop category. 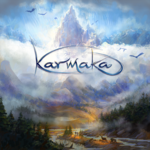 Karmaka is in the middle of a Kickstarter campaign to fund its first printing. Our current article series, Mid-Game Structures, is all about the mechanics and other design elements associated with the transitions and turning points in games. Karmaka’s design centers around moving up the karmic ladder, where each rung represents both reincarnation as a higher life form and a new phase of the game, so we thought it was a perfect fit for our Mid-Game Structures series. Today, we’ll be speaking to Dave Burke, one of the developers of Karmaka, about his design. Games Precipice: Welcome! Thanks for taking some time out of your busy Kickstarter schedule to talk to us. Before we dig deep into the mechanics, I wanted to talk about your theme–how did you decide on something as ambitious as reincarnation? 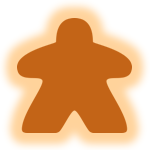 Dave: The idea of karma has long-appealed to us (co-designer Eddy Boxerman and I) as a thematic idea to build a game around, particularly a card game. “What goes around, comes around.” “You reap what you sow.” “An eye for an eye.” That kind of stuff. Conceptually it’s a really straightforward economy: what I do, comes back at me. So from a design perspective, it’s simple, everyone understands it and so you’ve got a theme that people can grok quickly — you have only to mention ‘karma’ and the light bulbs start switching on in people’s minds. So how to take it further? What else does karma evoke that could inspire a mechanic in a game? We’re not very well versed in eastern religion, but the high-level idea of living multiple lives and reincarnation maps really well onto a card game, where each life is a round of cards, say. Or even more interestingly, what if your life ended when *you* are out of cards — but other players could play on if they still have cards. And so everyone’s life ends at staggered times, depending on when they run out of cards, how quickly they play, etc. And so on. But it started from that “what goes around, comes around” pop-culture notion of karma as a simple economic model, and went from there on towards reincarnation, the Karmic Ladder, etc. We’re re-lighting our lantern to go deeper into our game structures series where we are headed toward mid-game structures to look at how games change their environments to keep the experience engaging. Mid-game structures comprise the median phase of a game’s timeline or game play. The underlying motive of mid-game structures would be to build elements of player engagement. By this point in a game, players have likely figured out their purpose, organization of play and their own approach to decision-making. Now is our opportunity to shake up the formula. We’re still building the replay value we initiated in Early Game Structures, but it’s now a secondary goal. By engaging players with changing objectives and key transition periods of strategy, we can ensure the novelty of innovative mechanics also has substance and longevity behind it. Basically, we don’t want the game to get stale once players have gotten into the meat of the game. We’re wrapping up year two at Games Precipice and we’re as thankful as ever for the support, feedback and readership growth we’ve received this year. We recently launched an ambitious series of topics titled Game Structures which incorporate some of the foundational decisions we’ve observed in game design. We’re currently in the middle of our topic dedicated to the wide world of Worker Placement games. I’ve enjoyed reading Games Precipice almost from the very beginning. I appreciate the effort you guys put into what you do. But sometimes you couldn’t be more wrong. 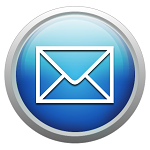 [Previous Mailbag – The Best Year in Game Design] This is one of those times. In what alternate timeline was 2007 better than 2012?